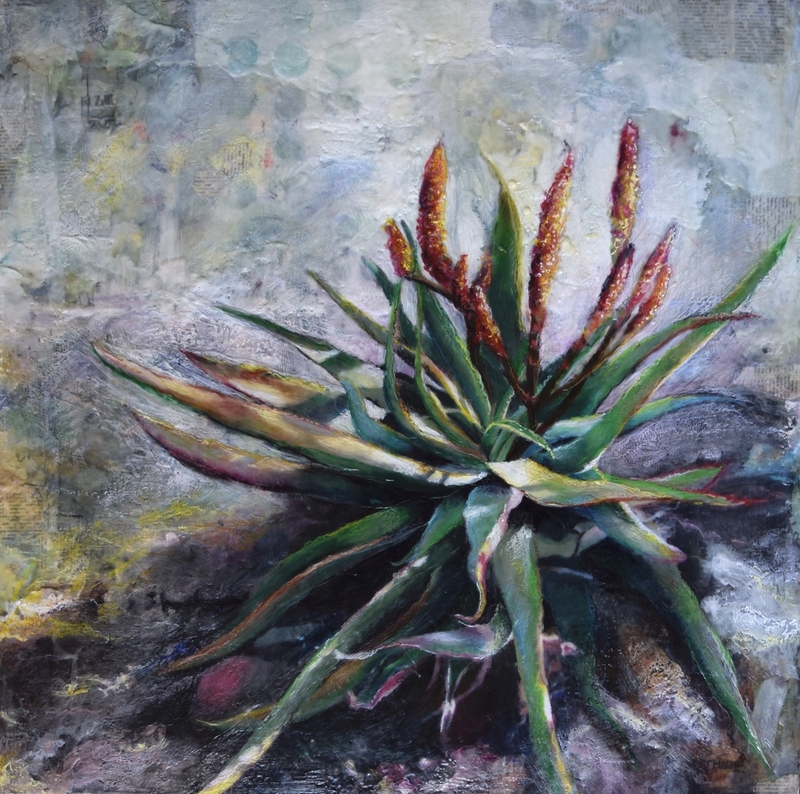 Pretoria artist Tanja Malan's third solo exhibition titled Pursue (pursue: Continue to investigate or explore) follows in the footsteps of her previous exhibitions at the Association in 2011 and 2013: Pure and Perseverance. 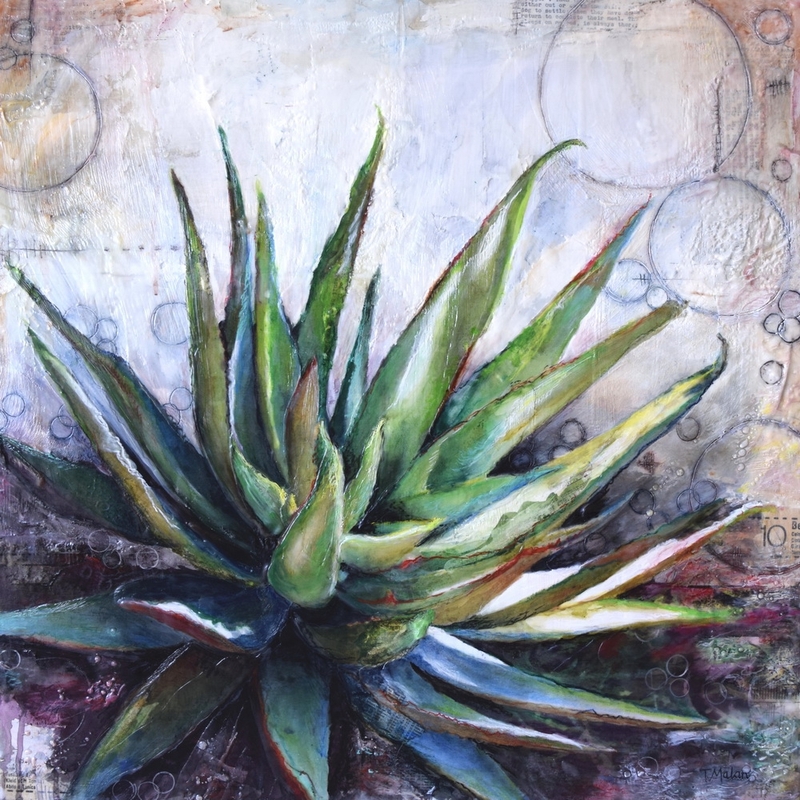 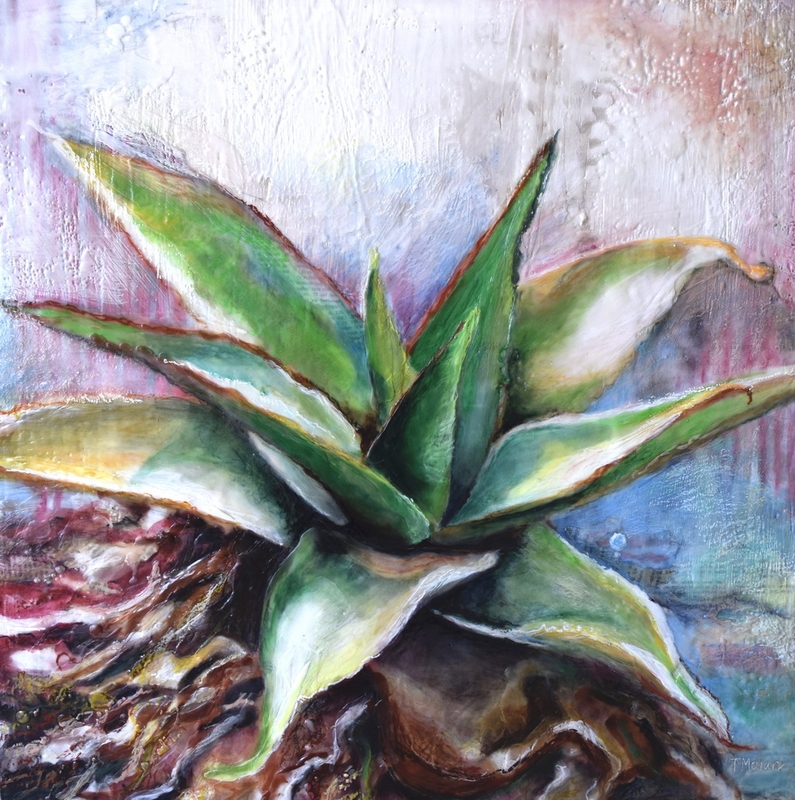 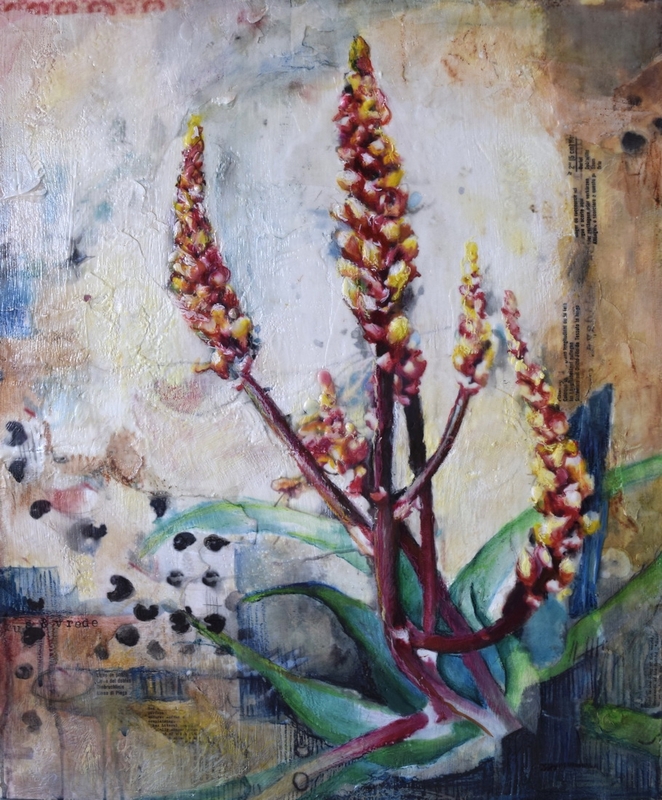 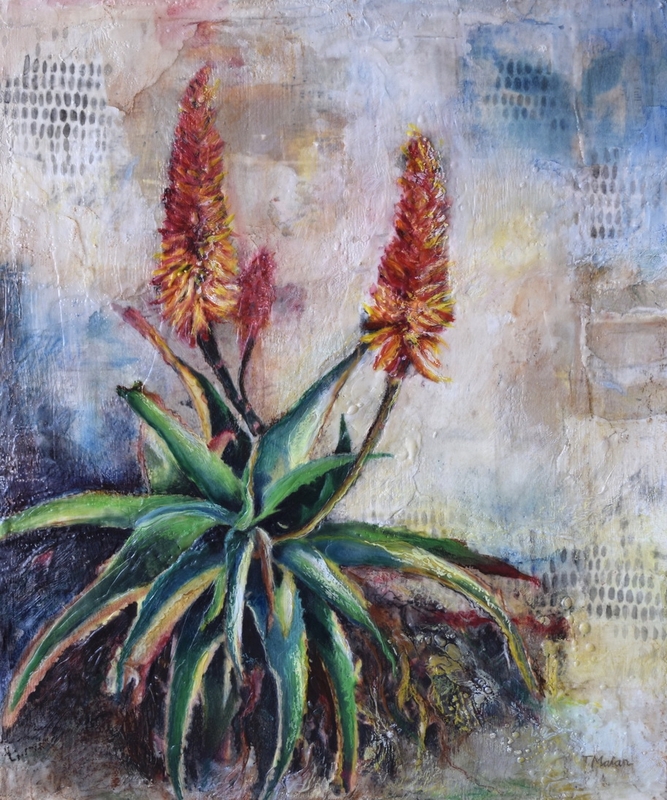 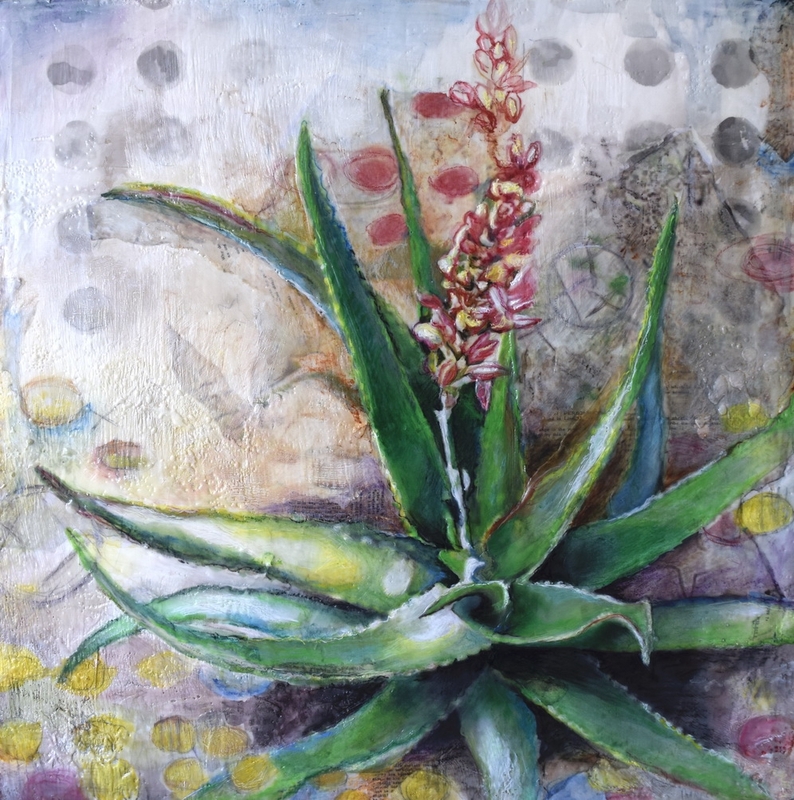 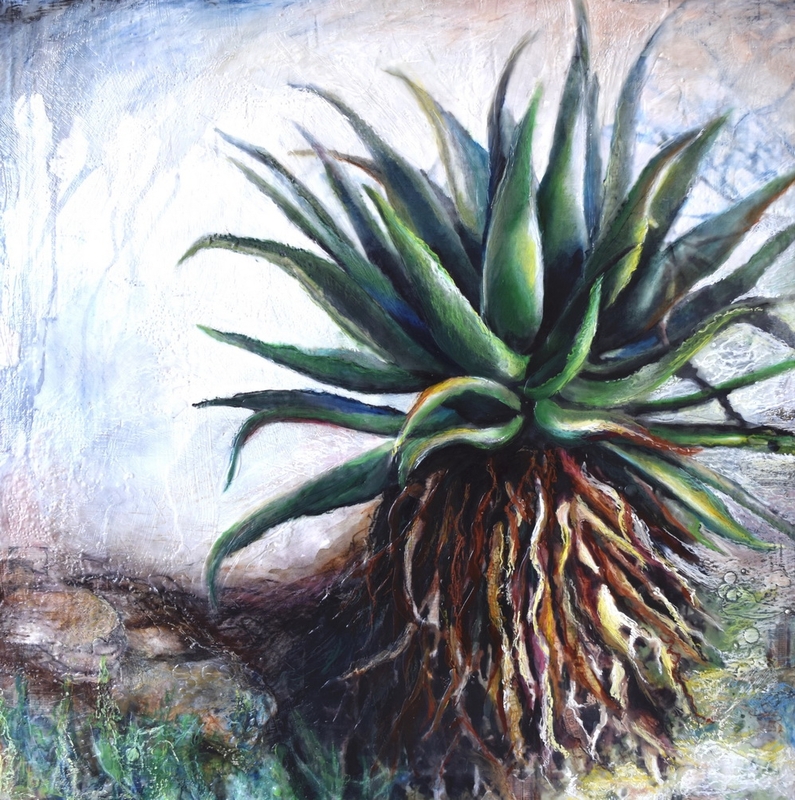 Pure was born from her fascination with nature's pure form and simplicity, while Perseverance testified of the renewal and persistence of nature and her beloved aloes. 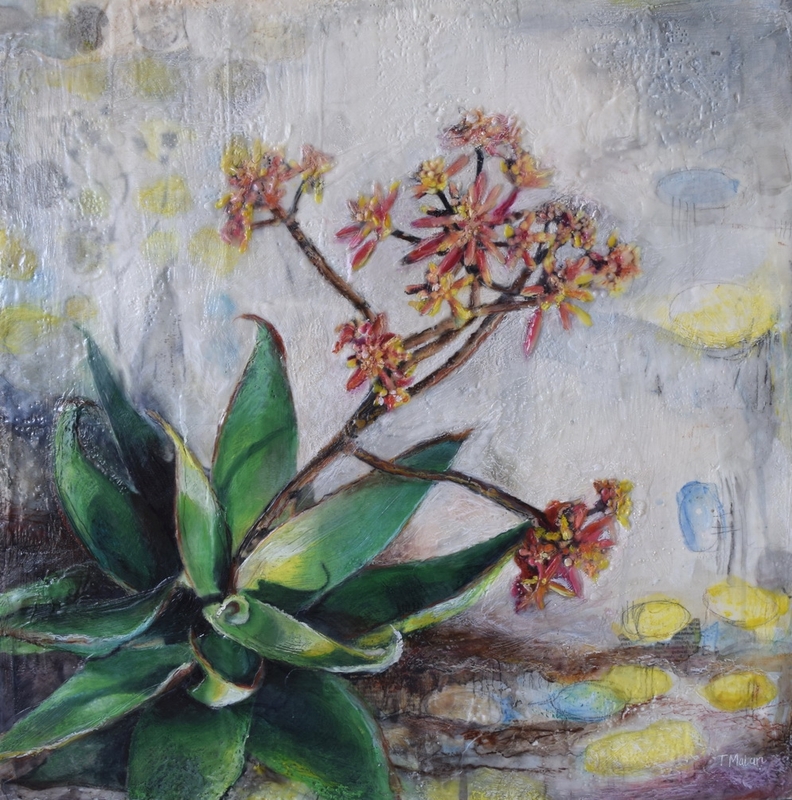 With this exhibition the artist would like to remind viewers that by pursuing their connection with nature, it can have a profound impact on their lives. 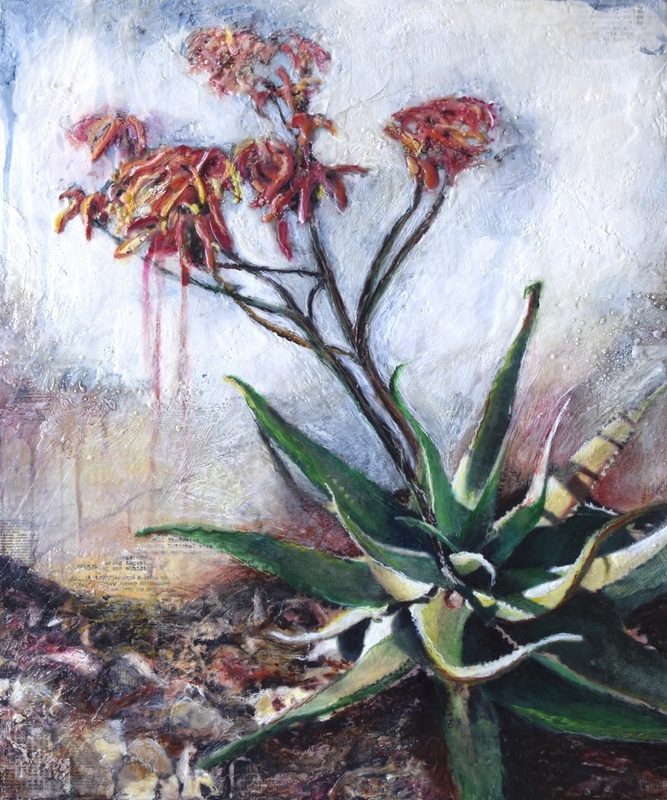 The artworks are primarily in encaustic wax and mixed media as the artist feels the different layers of wax sculpted by heat not only challenges the viewer on a visual and emotional level to experience more, but portray the different layers that a person and nature is formed by.